Summer can be a hectic period with travelling, visiting family, have family visitors, minding the grandchildren, (a favourite occupation), and with everything else that needs to be done around the houses and gardens. It is also the time of year when you can expect to find exciting stuff in many of the smaller galleries in the area. I finally got around to visiting the closest one, Kulturhuset “Heimen”, and was blown away with their current exhibition, which is in its last week, by the way. 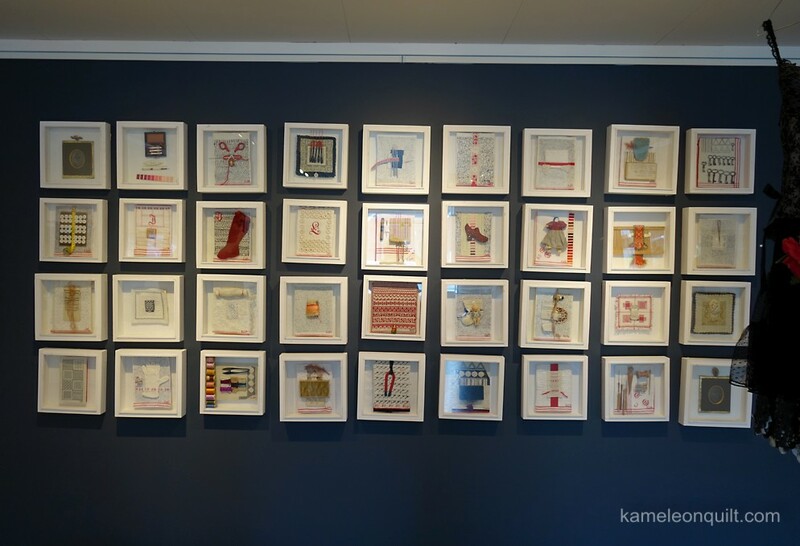 I was especially taken by the collection of works by textile artist Edith Bentdal Skjeggestad, which she has called “Endearments to History”. 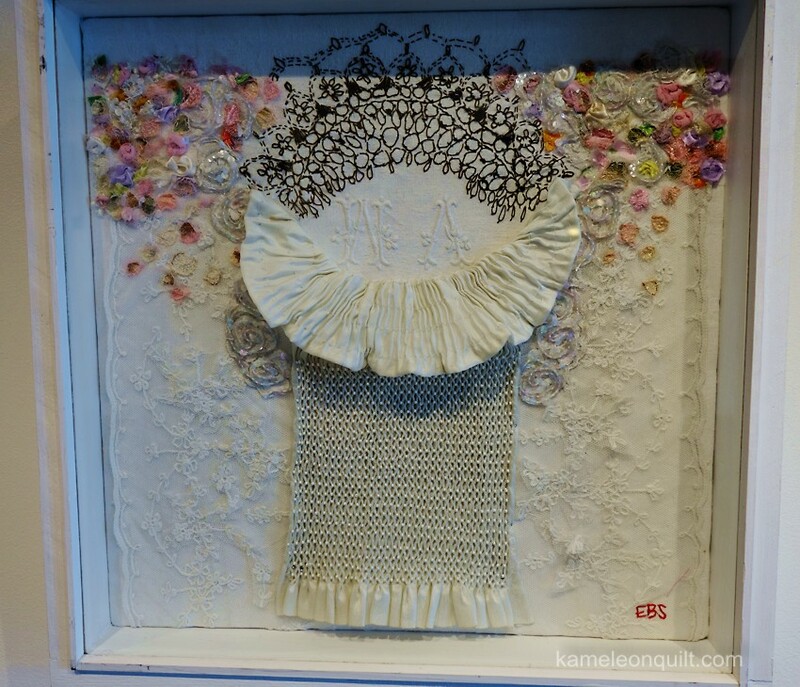 Ms Skjeggestad has used lots of old lace, fragments of garments, table linen fabric and towels, and arranged the pieces so you get the illusion of a dress bodice or blouse, focusing on the area closest around the neck. She has made use of many embroidery techniques to make each unique piece into a visual feast, with lots of details to study and admire. Just look at that fabulous smocked piece, for instance. I was impressed by the embroidery made with thin, black thread. It gave the impression of a patterned fabric as well as a textured background, depending on the stitches. 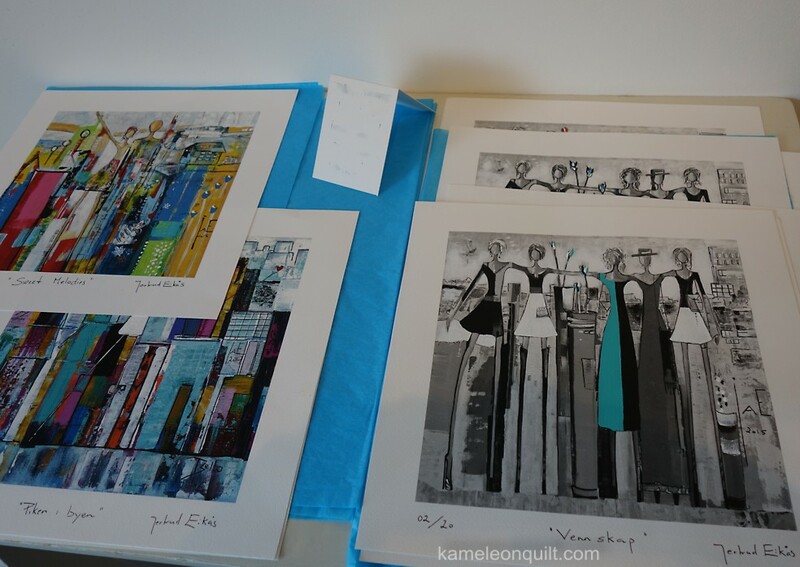 The collages were set in deep, white, glass fronted frames, and bore titles such as “Flirt”, “Romance”, “Sadness”, “Nostalgia”, and “Longing”, all with lots of embellishments. 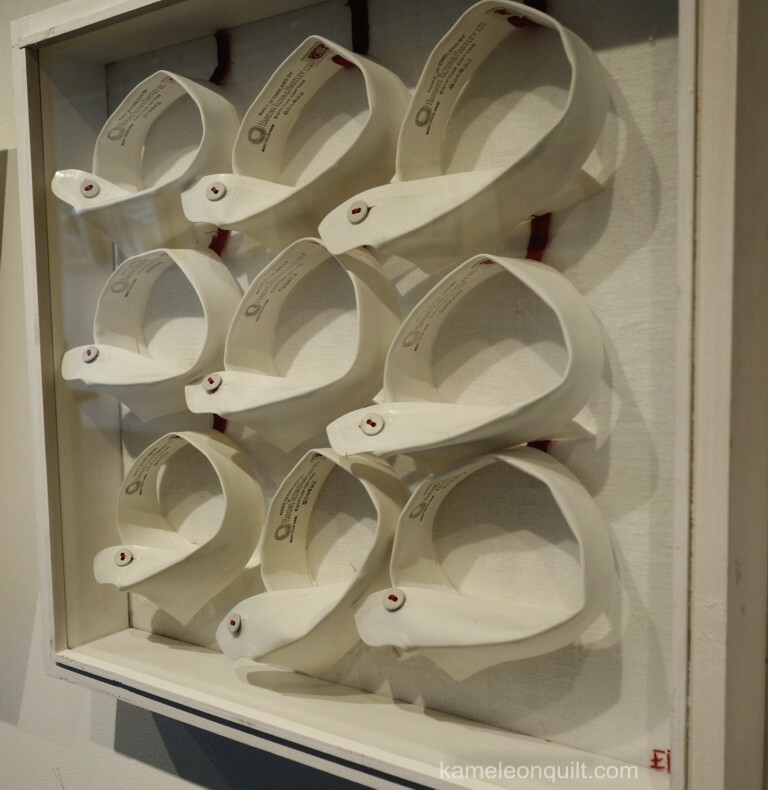 Most were definitely “female”, but there were also a few pieces like the one above, called “Wonderboy, white collar”. It made me almost feel sorry for the menfolk who had to dress so simply and monotonously, compared to all the beautiful lace, embroidery and pearls shown on the other pieces. Again, here were lots of details to study. I especially liked the small Russian doll showed with the red embroidery. There are also works by other artists exhibited in the gallery, like these prints by Jertrud Eikås Eide and ceramics by Anne Lise Aarset. 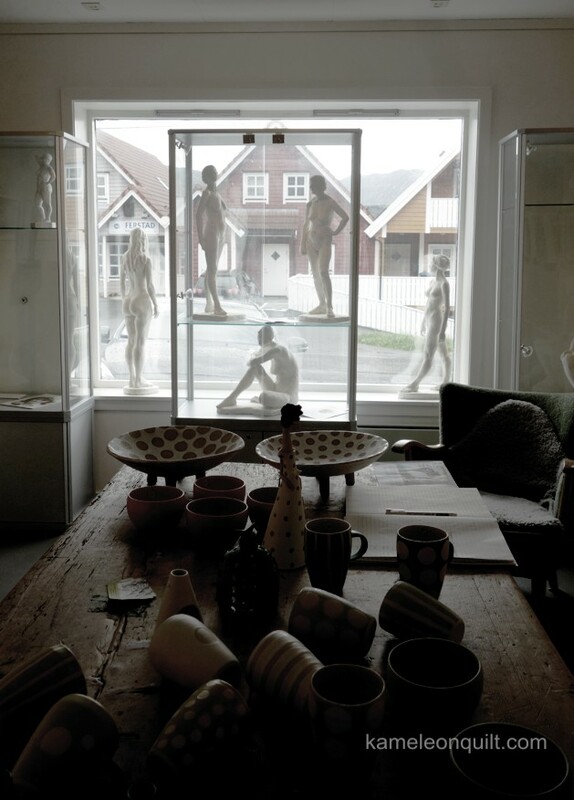 The sculptures by Aase Botnmark in the window are in this gallery on a permanent basis. But the other exhibitions will be taken down this weekend. Just a few days left. Hurry if you want to see it. 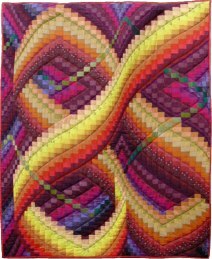 Michele Foster over at the Quilting Gallery organizes weekly show and tell contests. 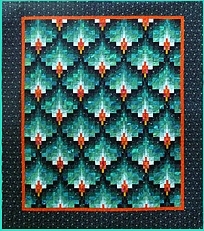 This week my quilt “Blue Night” was voted first in the theme Winter Landscapes. I was thrilled, of course. A big thank you to all those who voted. I was even more thrilled when I was informed that there was a prize. Vicki Welsh, who makes glorious hand dyed fabrics, was a sponsor of the event, and offered one of her fabric packages as a prize. I was even allowed to make my own choice between all the colour combinations available in her Etsy shop. I had a hard time choosing, but landed on the pink packet in the end. 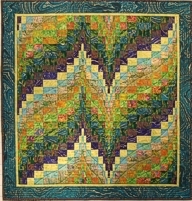 The quilt “Blue Night” was made of half inch fabric squares using a collage technique. Lots of colour variations are needed when making these collage quilts, so this packet will be a great start for a new project. Thank you, Vicki, and thank you, Michele, for arranging the shows. Just after the quilt was made, I posted some work-in-progress-pictures on my website so that you can get an impression of how it was made. 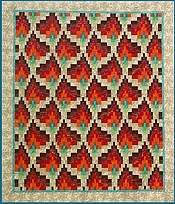 One of the inspirations for the quilt was a class I took from Mr Edmund Cluett, a very talented fiber artist. He used to have a website showing some of his work, but it is no longer online. However, on this page I have posted a suggestion on how you might still be able to see some of his work.